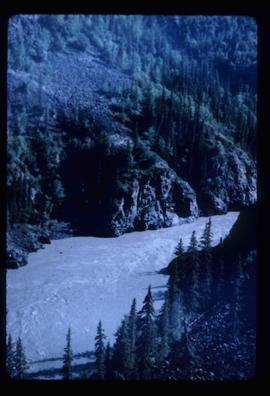 Photograph depicts Iona Campagnolo’s visit to Cassiar YCW project and visit to Telegraph Creek with Ross Knowles, Gabriel Szczurek, Glenn Billingsley, and Peter Jones. 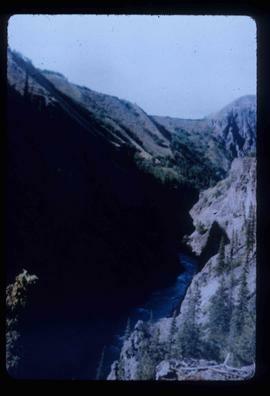 Image depicts the Telegraph Creek. 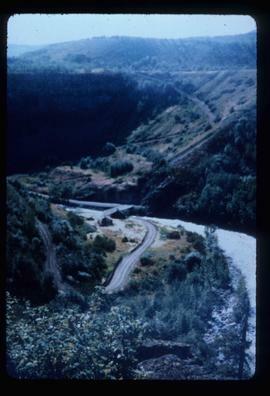 Image depicts a bridge over Telegraph Creek. 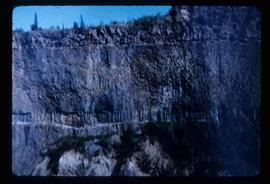 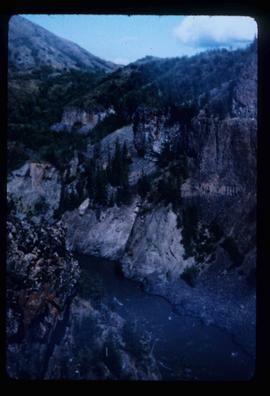 Image depicts a cliff face near Telegraph Creek. 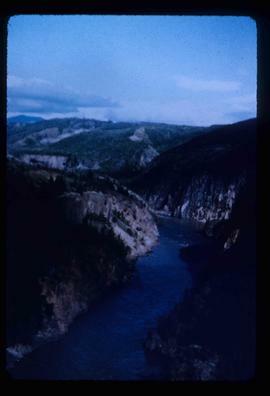 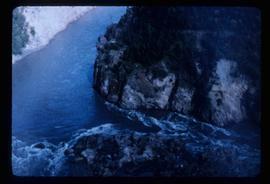 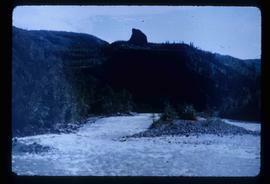 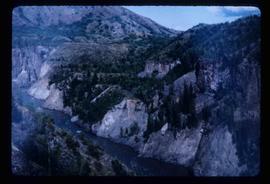 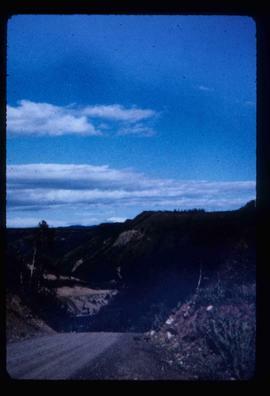 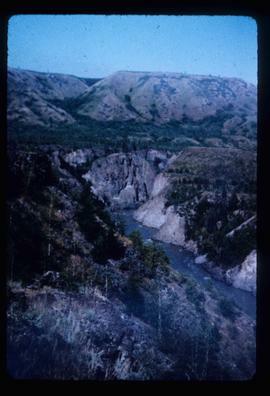 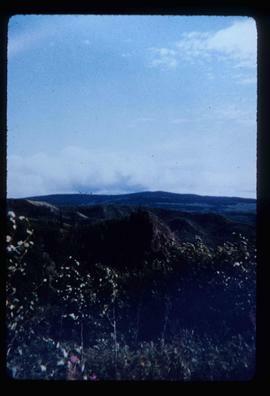 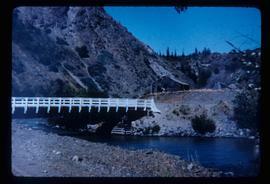 File contains slides depicting Telegraph Creek. 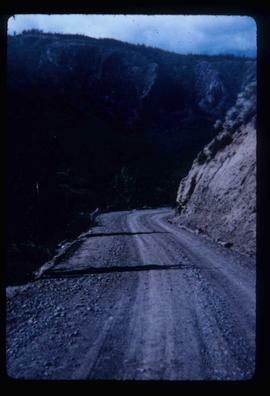 Image depicts Telegraph Creek Road. 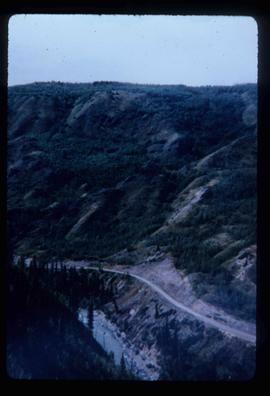 Image depicts the Telegraph Creek Road, as well as the Creek itself.